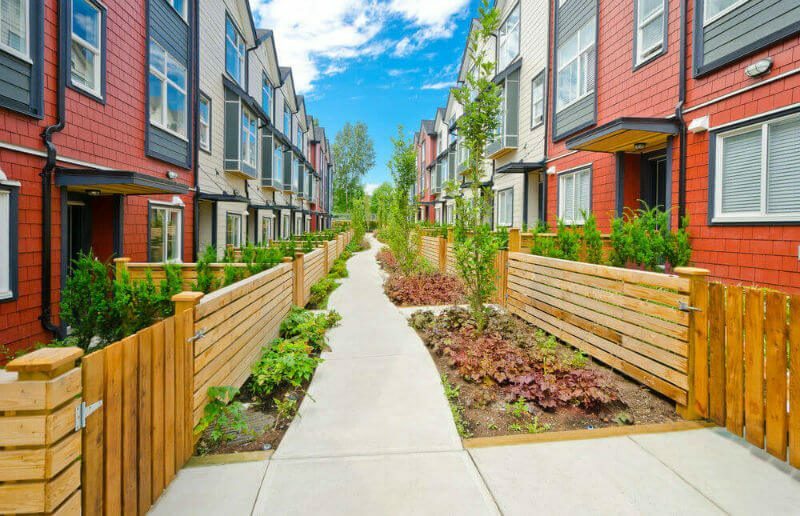 WOOD FENCE STYLES – Are you looking for backyard or front yard fence designs and ideas? It’s a big decision as the fence design you choose can affect the resell value and overall curb appeal of your home for years. 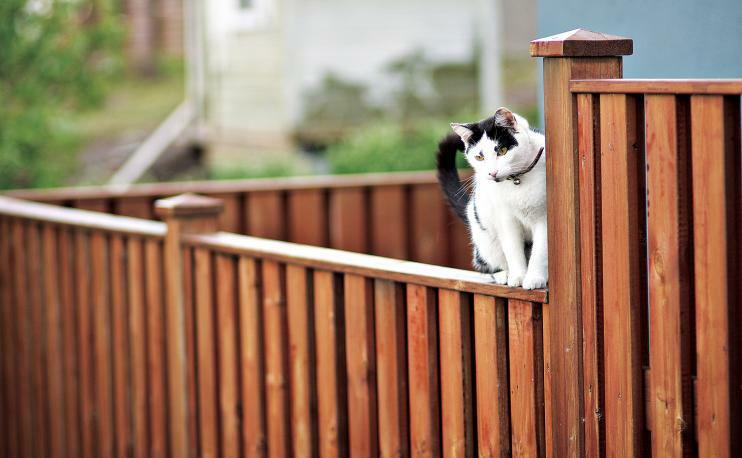 Fencing solves multiple problems you may be dealing with as a home owner. 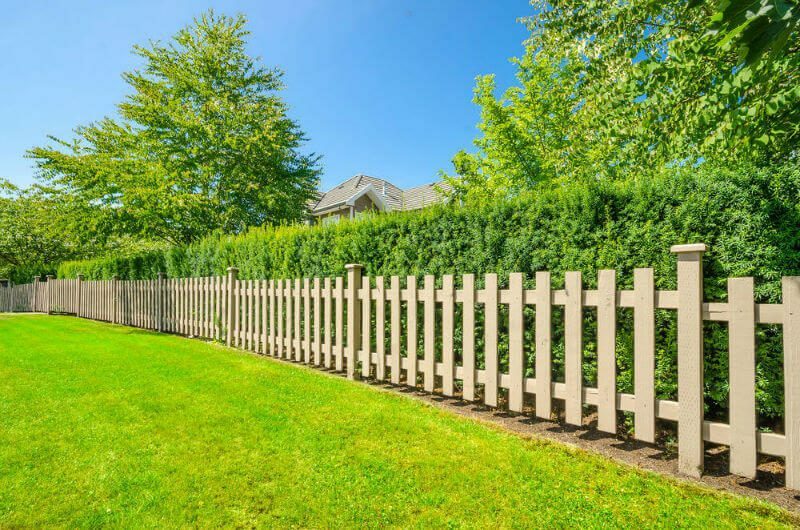 A reliable fence will not only layout a perimeter for your property, but will also add security and privacy your home may be lacking. 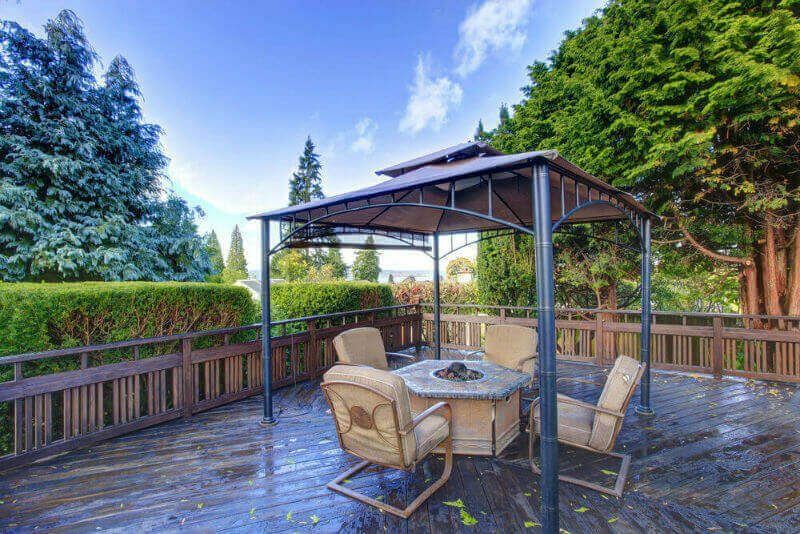 There are many different types of front yard and backyard fence ideas to consider. 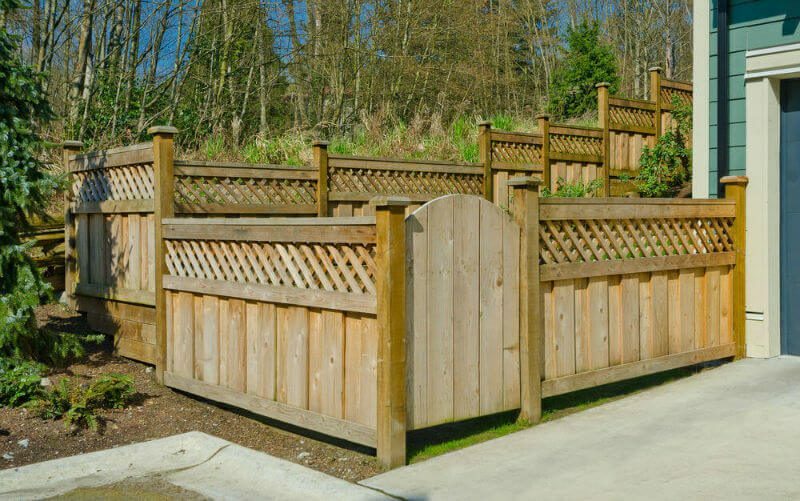 Most neighbors choose to build a simply wood and metal fence, but as you will see, we cover all type of fencing materials. 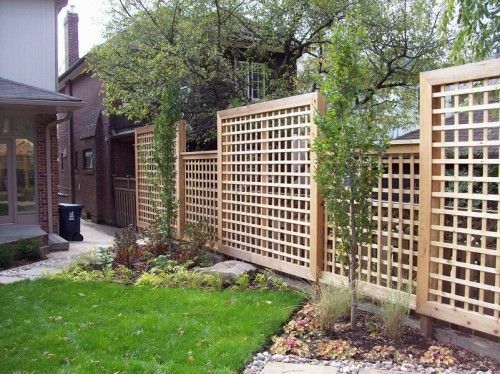 In our gallery below, we are showcasing a wide array of fencing designs. From the very elaborate all the way down to simply and easy fence ideas. 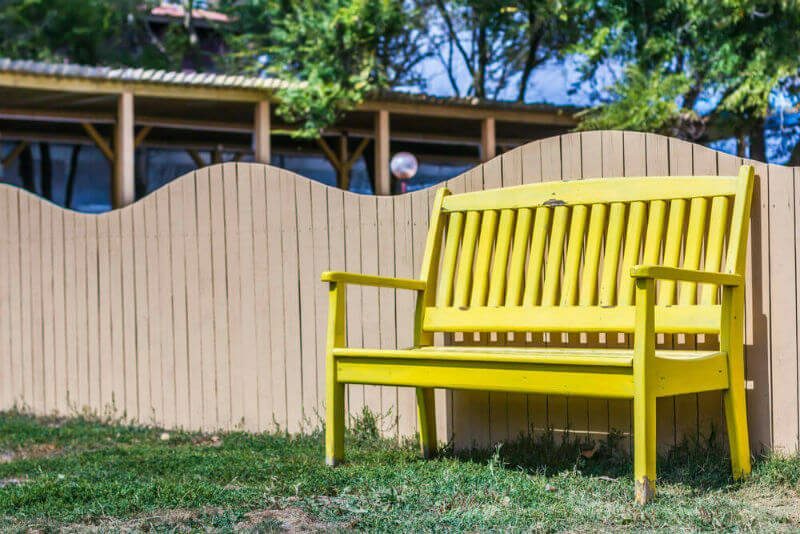 Either way, we hope our guide helps you make your final decision on what fencing supplies you should use for your project. 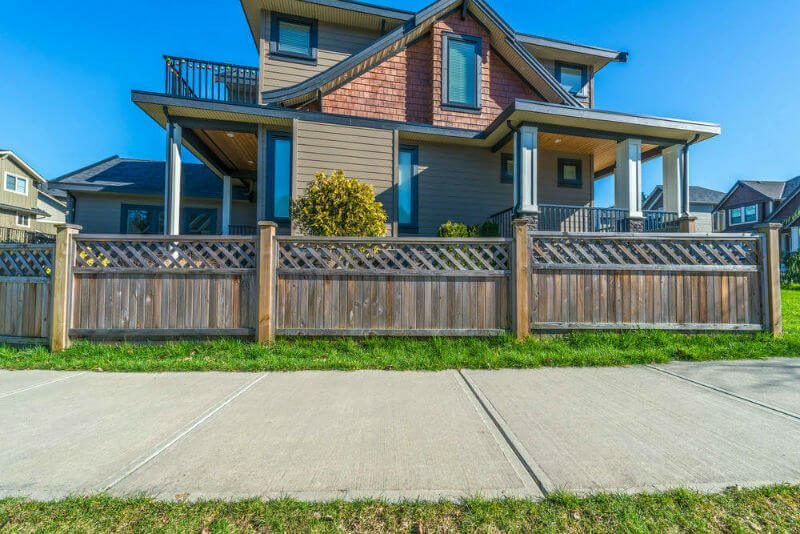 Wide, rectangular slats on this picket fence give the impression of a continuous ribbon. The light-colored paint shows it off against the shrubbery. 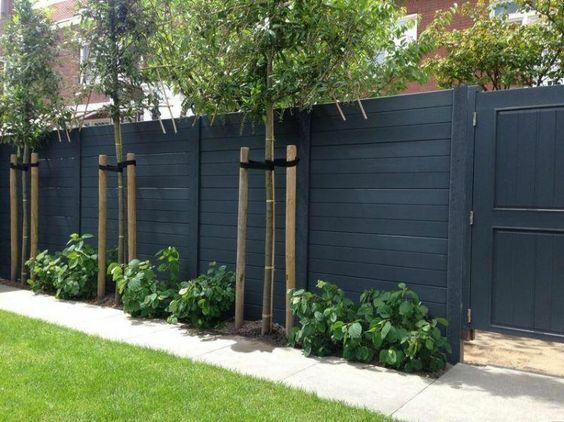 Vertical, diagonal, and curved lines come together on this privacy fence to make painting unnecessary. Stair-stepped sections allow it to overcome obstacles like hills. 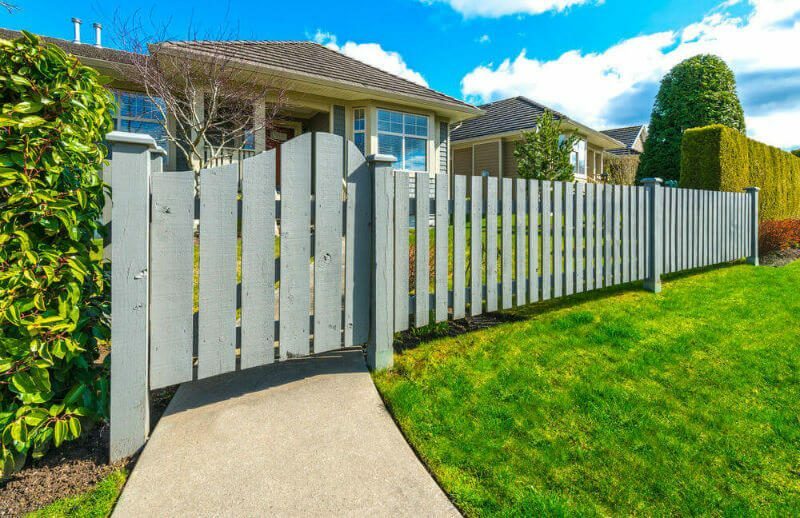 This privacy fence is determined to liven things up. Its color might be plain, but its undulating ridge line makes up for it. This picket fence knows how to count. Pickets are clustered symmetrically with five in the center, four on either side, groups of three bracketing these, and pairs bordering the posts. The bluish-gray wash on this fence works well with the surrounding greenery. 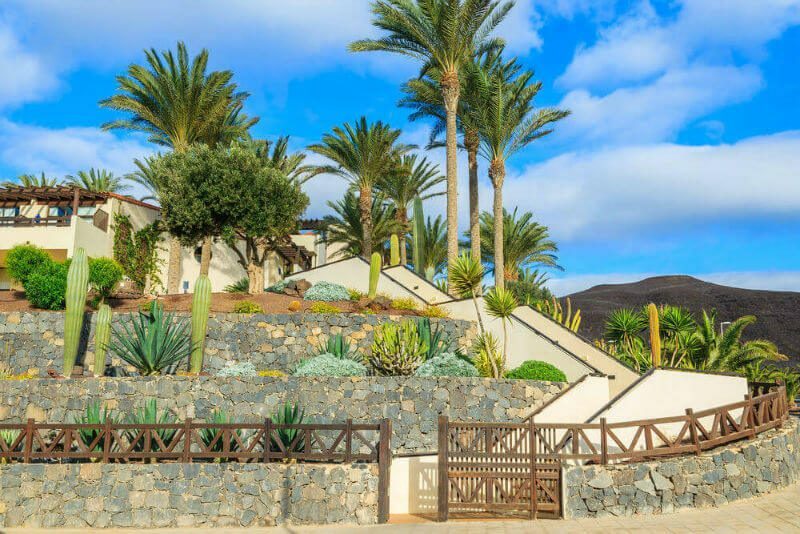 The irregular curve atop the gate makes it a great focal point. 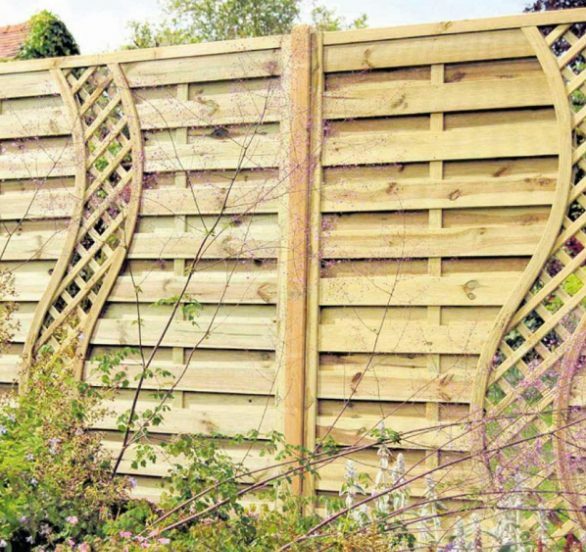 Stretched between sturdy posts, these fence panels combine two styles. The lower half serves as a privacy fencing. Above, an open latticework gives the homeowner a view of the street. Nature provides the colors for this weather-beaten fence. The splitting, checking, and patches of moss give it a particularly old, rustic appearance. 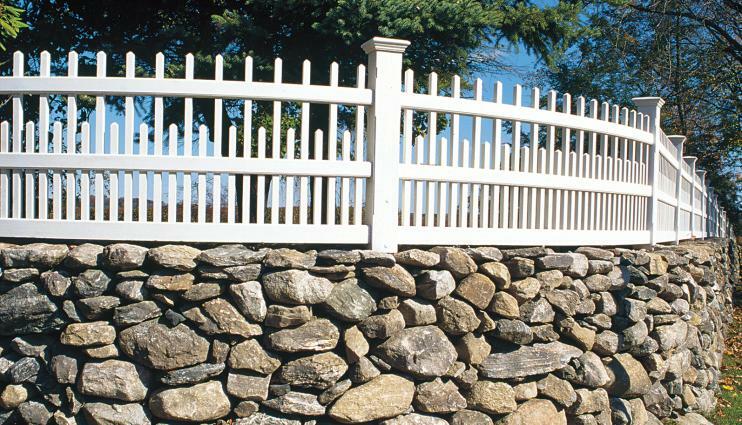 The diamond crosshatch pattern of this fence creates a sawtooth design that reflects the mountains behind it. Its weathered appearance adds to the effect. The posts and wood fence panels featured here possess a strong, thick fashion that works with brick wall just below. The narrow slots and ornamental post crowns complete the motif. A series of diagonal slats create a continuous zigzag pattern in this wooden fencing. The posts and rails provide a simple framework to hold the design together. 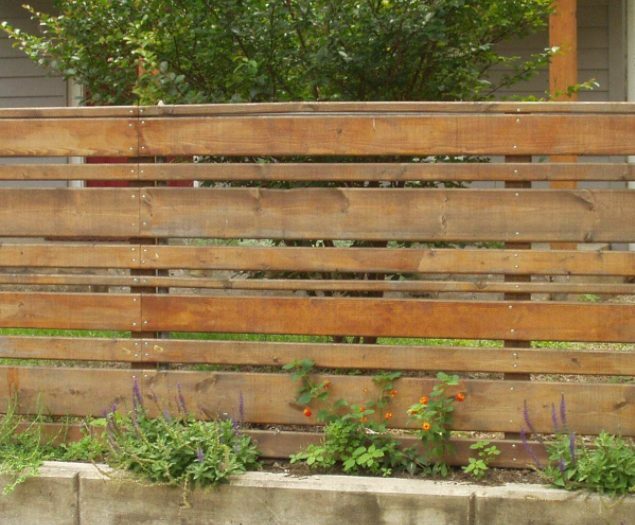 Most fences are constructed of vertical boards, but horizontal planks are an interesting alternative. The secret here is in choosing the width of the space between the planks. 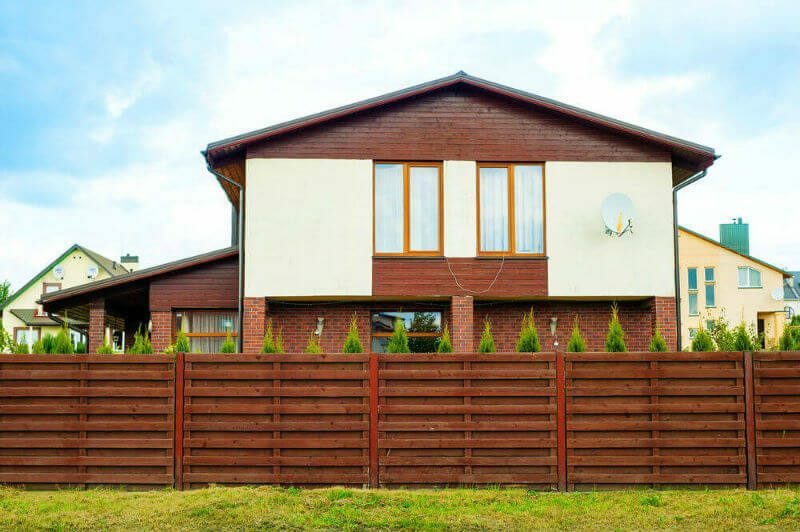 Modern fences are composed of horizontal planks with varying spaces between them, or varying widths of planks, for a visually pleasing result. 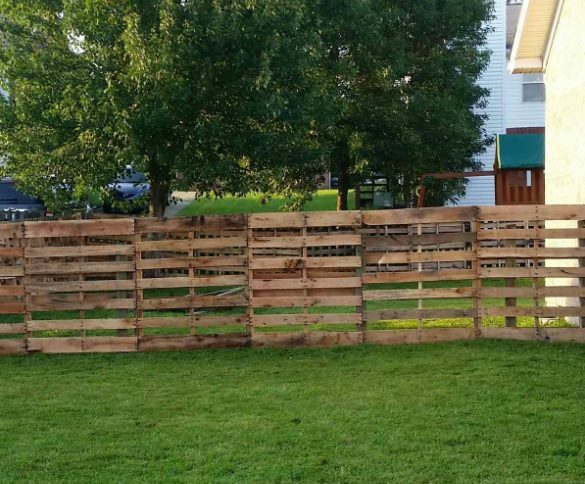 You can do almost anything with pallets, including build fences! Your two options here are to use the pallets as whole pieces that you can bracket to the fence posts, which creates an interesting fence made of linked squares. 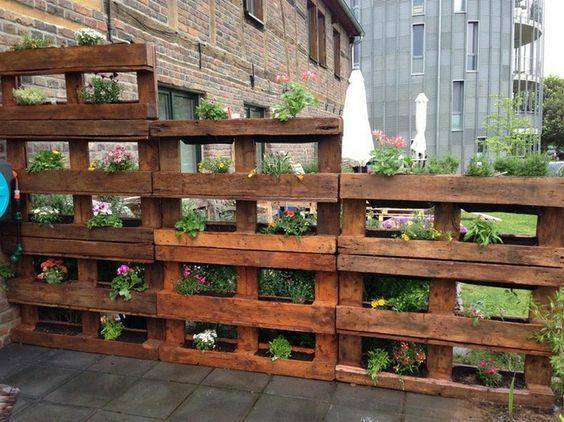 Or you can strip the pallets for their wood slats and use them as individual boards. 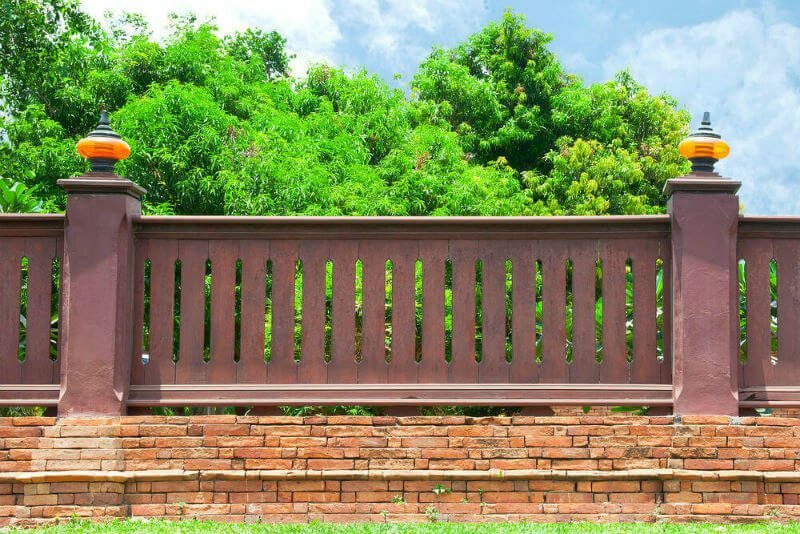 Both options allow you to repurpose the wood and create a one-of-a-kind fence. 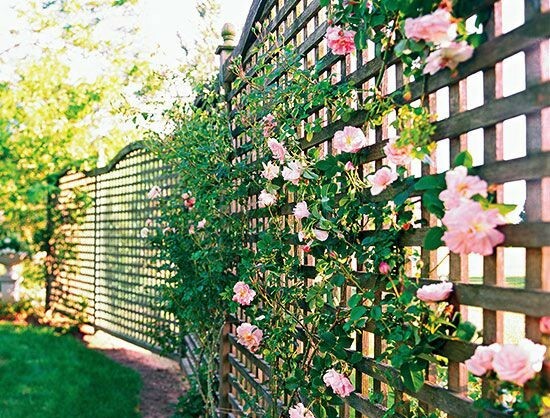 A beautiful climbers-wall fence looks amazing both during the growing season and in the off-season. 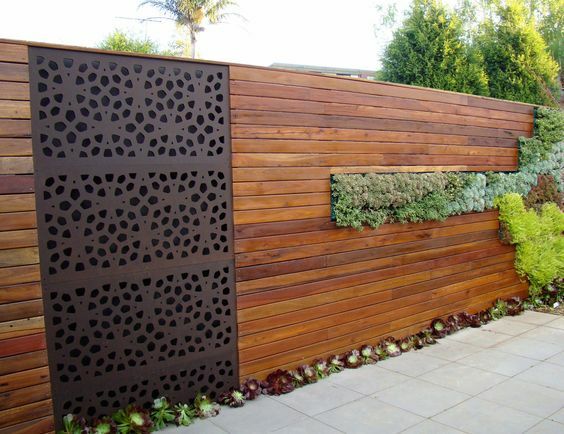 Thanks to the well-positioned latticework, this fence is perfect for supporting climbing flowers and vegetables. 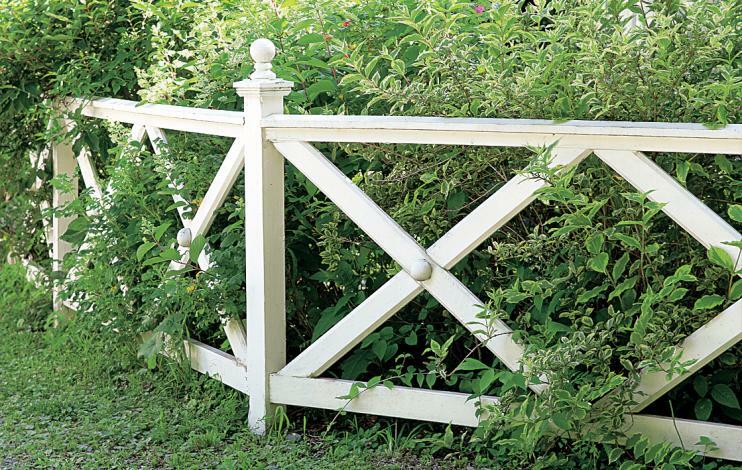 Keep in mind that climbing plants can get heavy, so make sure your fence is sturdy enough to support them. 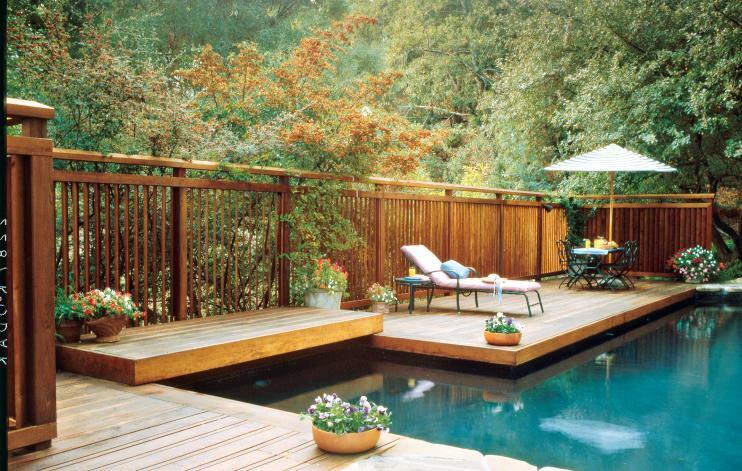 Overlapped or butted edge to edge, tall vertical boards ensure privacy. 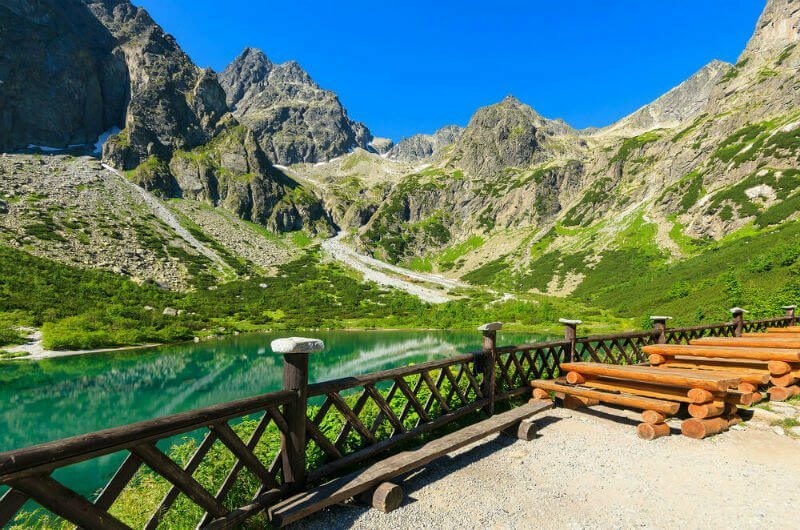 They also block the wind, a good thing in winter but not so much in summer. 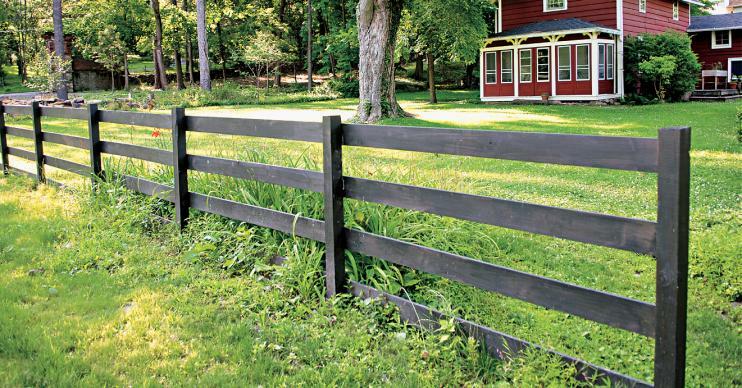 This inexpensive fence, traditionally used for penning livestock, also makes a bold demarcation between properties. 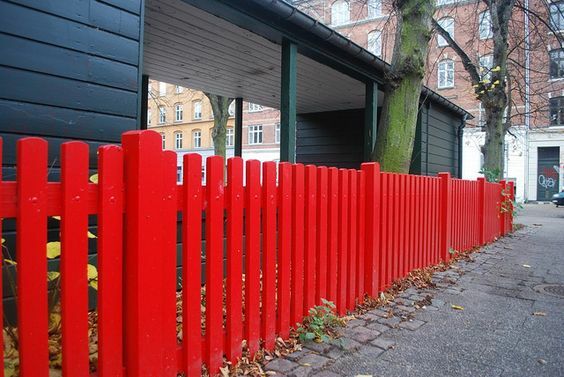 Perhaps this type of wooden fence is perfect for those of you who like simplicity. Vertical louvers or staggered boards afford privacy when viewed straight on but allow airflow and open views from the side. A series of X’s fills the gap between the top and bottom rails. A ball-shaped detail on the post cap and where the crosspieces intersect adds a touch of formality. Orderly pickets perched atop an existing stone wall create pleasing contrasts between light and dark, and smooth and rough. Posts fit over steel pipe anchored in the stone. What about the wood fence styles above? 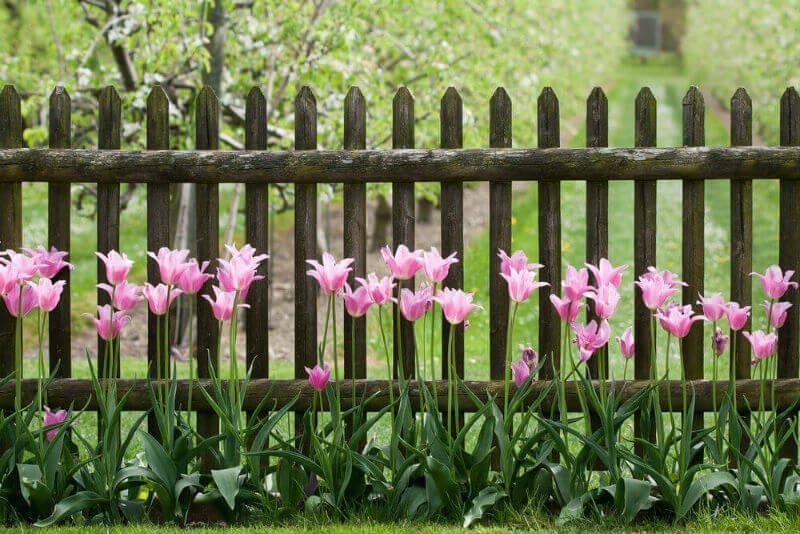 Have you got the idea to make a fence around your house? We hope there are many ideas that you get from here.